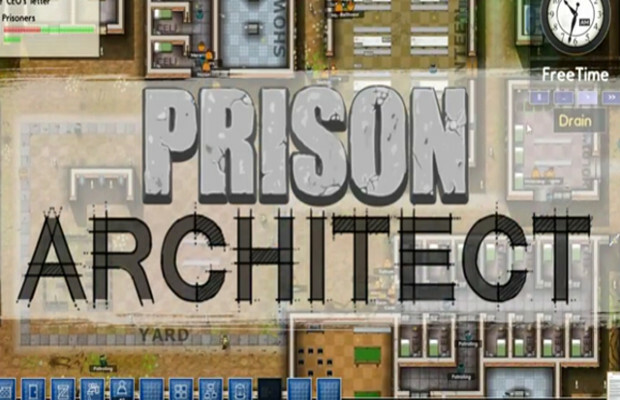 Renowned independent developer Introversion continues to plug away at the alpha for its massive strategy sim Prison Architect, releasing updates on approximately a monthly basis. This feature takes an in-depth look at each new update to describe what it entails and how the new features affect the overall game. If you want to be a part of the alpha and have some input on the game’s development trajectory, visit Introversion’s website to purchase alpha access. If Introversion is on track (and it’s likely they are), Prison Architect is probably nearing the end of the Alpha stage. Of course, that doesn’t meant that Lead Designer Chris Delay is resting on his laurels. On the contrary, Alpha 12 introduces a brand new feature into the game: Contraband. Contraband is, in a word, awesome. Not contraband itself, mind you, but rather the system in the game. This system adds a new button to the toolbar at the bottom of the screen. Clicking this button will bring up an overlay of the prison. Central to the system is the idea that nearly every room in the prison is a potential source of contraband. Everything from spoons from the kitchen to drugs in the infirmary to all manner of deadly weapons in the workshop are potential contraband. That means at any given moment, your prisoners have the means to begin smuggling items throughout the prison. There are four types of contraband: weapons, tools (for escaping), narcotics, and luxuries (phones or other “nice things”). For now, only the weapons have an official use, but prisoners will still steal anything and functionality for the other categories will be included later. My favorite part of the system is the ability to track the source and path of the contraband once found. Any prisoner can be individually searched at any time for contraband. If you suspect that a prisoner has gotten ahold of, say, a cell phone, you can search him. The great part about this is that, if you find something, you can actually trace the path that the contraband took. So if the prisoner was given the phone by a family member in visitation, then went to eat, then went to his cell, then was searched by the guards, the contraband overlay will show a line leading from each of those places, following the path the prisoner took so you know where it originated. From there, you can take action. If there happens to be a trend of contraband suddenly making its way into prisoners’ hands immediately after visitations, it may be necessary to search each prisoner after visitation. If there are suddenly more instances of prisoners getting stabbed with forks whilst folding clothes, it might be a good idea to set up metal detectors at the entrance. Apart from the obvious danger of death by fork, there is a very good reason to keep an eye on contraband. There is now also an internal economy to the contraband itself, a literal supply and demand report that shows what’s available, and what prisoners want. Prisoners will trade contraband amongst themselves to get desired items. If there is a high demand for an item, this may point to a specific issue that needs to be addressed concerning the well-being of the inmates (since disgruntled inmates will start to act out and look for contraband). If there is a high supply of, for example, weapons, there is a very real danger at that moment. With that comes another risk-reward element to Prison Architect. In addition to being able to search individual prisoners and cells, you can also order a Shakedown, which will thoroughly search everyone and everything on the grounds. It’s a tool to use if you feel there is an extreme danger, and you’re likely to find a lot. However, prisoners that have nothing to hide will be extremely angry at being searched, resulting in a swift spike in the prison’s danger level. Be ready to compensate for this, or face a full-on riot. Finally, a deceptively simple addition to the game comes in the form of Status Effects. These are smaller, temporary conditions added to a prisoner’s information panel that will affect the prisoner’s behavior. Pretty much anything that a prisoner does or has done to him will affect his status, and by extension, his behavior. Things such as eating or, in later alphas, being able to shower and have family visit positively affect that particular prisoner, and he will be less likely to act against the administration. In particular, I noted one prisoner retreated back to his cell of my lackadaisical, open prison while over a dozen of his fellow inmates participated in a battle royale involving forks–contraband, stolen by disgruntled inmates—because a while earlier he got a good meal for the “Well Fed” Status Effect. The prisoners responsible for killing two guards were put into solitary, which granted the “Suppressed” Status Effect, leaving those prisoner docile for the next good while. Everything is really starting to come together here; while constructing a cell block, I noticed that the danger level (from an earlier alpha) was rising extremely quickly, and in a matter of minutes a large-scale brawl was taking place outside the kitchen, with prisoners madly stabbing at each other with forks. After that happened, the danger level went down, along with the amount of contraband being smuggled. It was a good way for the prisoners to let out some anger, but an apparent mishap in the way the Canteen and Showers were designed appeared to be part of the reason the fight broke out, along with the fact that I had not yet built a Visitation room. The way Introversion is making everything fit together is extremely impressive, and seeing the developer’s vision for the final product appear piece by piece just gets more interesting with each month. As always, visit Introversion’s website to purchase the game, get in on the alpha and start playing immediately. Come back in a month to find out what Alpha 13 holds!